Have you experienced an accident at work, on the road or in a public place in Keighley, West Yorkshire? If so, our personal injury solicitors for Keighley will be able to help. We’ve been assisting the people of Yorkshire for years with personal injury claims, ensuring they receive financial compensation after suffering injuries caused by someone else. Our team of solicitors are some of the very best in the business. Along with an intimate knowledge of the Keighley region, the solicitors working at our law firm possess a fine skillset and deep understanding of personal injury law. With these solicitors by your side, you have the best possible chance of claiming the compensation you deserve. Personal injury claims can adopt a diverse range of shapes and forms, but our team of solicitors are equipped to handle all of them. Employers are responsible for creating safe office environments. If you suffer an injury whilst on the job, you may be able to claim compensation. These types of injuries can include repetitive strain injury from use of inadequate computer equipment, slips and trips that may occur as a result of poor safety checks, and any bruises, bumps or breaks caused by chairs or tables that aren’t fit to be in an office area. Manual labour can be dangerous work, and if the person or organisation in charge of the site does not pay due care and attention to implementing safety procedures, injuries are likely to occur. If you have suffered a fall from height due to a damaged ladder, experienced asbestos poisoning after working in an environment unfit for labourers, or been victim to an injury caused by malfunctioning tools, you could have a case for compensation. If you’ve been involved in a road traffic accident in the Keighley area, either as a driver, passenger or pedestrian, we can assist you with building a case to claim back compensation for your injuries. Occasionally, buses and trains may be involved in collisions which result in passengers suffering injuries. If you have experienced an accident whilst on board Keighley public transport, our personal injury Keighley team can determine whether you have grounds to claim financial remuneration. Business premises are under legal obligation to ensure their environment is safe and secure for any visitor who passes through. If you have been victim to injury whilst on business sites or public property, you could be entitled to compensation. Anyone running an event must ensure there are adequate safety measures in place to prevent any attendees from suffering an accident. If you’ve suffered an injury at an organised event, we can help you to build a case. Victims of unprovoked attacks and assault deserve compensation for the pain and suffering they have experienced. Our caring team of personal injury solicitors Keighley can offer support and guidance in these instances, helping you to get money back. We break down the claims process into layman’s terms so you can understand what’s happening during your case every step of the way. Our caring and compassionate solicitors are dedicated to helping you get the money you deserve after suffering an injury that wasn’t your fault. ● Opening a channel of communication with the individual/organisation responsible for your accident. Our team will write a letter to which they have 12 weeks to respond to. ● A case settlement. This can be completed out of court if the defendant accepts liability, or in court if they deny any wrongdoing or refuse to pay the settlement fee. And that’s all there is to it. We do all of the work and keep you informed about the progress of your Keighley case from beginning to end. All we ask is that you are open and honest with us and maintain contact whilst the case is underway. Everything else is up to us – and we promise nothing less than complete dedication and full commitment. 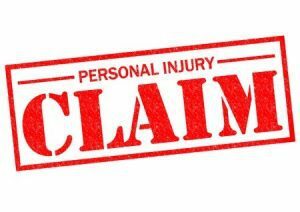 Why Use Our Keighley Personal Injury Solicitors Team? One of our USP’s as a personal injury soliocitor’s service is our transparency and open nature. Unlike many big city legal firms, we give every case our undivided attention and tailor our services to each individual client. Given the varied nature of personal injury claims, there is no telling how long a case might last or how much compensation you may be entitled to right away. However, once we have assessed your case and opened a line of communication with the party responsible, we will be able to provide you with an estimated figure of what you are likely to receive in financial remuneration, as well as a calculated prediction of how much longer the case is likely to last. When it comes to personal injury solicitors, we provide some of the very best customer service you’re likely to find anywhere in the country. If you have been injured in an accident that wasn’t your fault and you live in the Keighley area, get in touch with us today by calling 0800 073 8804. We’ll do everything we can to help you get the compensation you deserve.